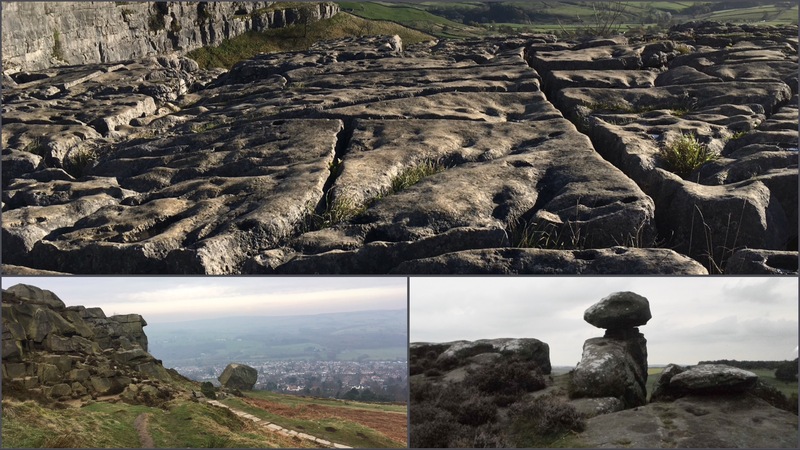 3 Yorkshire Walks with cool rock formations! If you can get your kids interested in visiting somewhere because it’s cool, has something interesting to look at, find, or leap on, then the battle to get them doing some exercise and outdoors is practically already won. We obviously do a lot of walking, and once we’re out the kids do enjoy themselves. Yes, there’s a few moans sometimes, especially from the eldest, but once we’re out they love it. Talking about walks with my eldest he came up with some of his favourite types of walks, so this is first one – Walks with cool rock formations! He loves rocks, picking them up, leaping on them, around them, you get the idea. Below are the favourites, they are all places that you can just visit and wander around. You don’t have to incorporate them into a massive hike, although we’ve come across them on our walking adventures. Located near Pateley Bridge, is the National Trust site of Brimham Rocks. We once had a moorland walk in the area and found the rocks beautiful. These are natural rock formations, some standing at an impressive 30 feet, in all sorts of weird and wonderful shapes. Some even have their own names. It’s a lovely day out for families, and before they know it the kids will have had a great time outdoors and worked up an appetite for a picnic. I’m sure there was ice cream being sold there last time we went! For parking information and how to get there check out Brimham Rocks. The Cow and Calf rocks stand on Ilkley Moor, and it’s usually the first place that my son asks to go to if we ask him where he wants to go. We often walk from Burley-in-Wharfedale, up to Burley Moor and then across to the Cow and Calf rocks. However, if you don’t fancy a big walk from either Burley or the town in Ilkley itself, there is a car park with facilities and a small café with outdoor seating. We can recommend the warm pasties! The views on a nice day are great and if the weather isn’t nice you’ll certainly blow some cobwebs away. My kids love walking around the rocks and leaping in the heather, there’s even a few streams nearby if you fancy a paddle. Malham Cove above Malham in the Yorkshire Dales is famous for its limestone pavement. It is said to have been the inspiration for a scene in one of the Harry Potter movies, and definitely has a wow factor. We’ve walked in the Malham area a few times, but if you wanted a shorter walk it isn’t too far from the main visitor car park in Malham, to the bottom of the cove. The steps up are steep, so not suitable for tiny legs or pushchairs, but the view from the bottom is incredible too. Maybe you’ll spot a peregrine falcon! Once you get to the top it isn’t the sort of place to leap and charge about, but the kids will love carefully stepping from stone to stone to get from one side to the other. There’s a few great pubs to stop for lunch or a drink in Malham itself. Have you any recommendations for places with cool rock formations? Let me know in the comments. Great walks here, I love rock formations too – need to do a lot more in Yorkshire by the look of it! We spent a week on N Yorks Moors in 2016 but couldn’t walk far as the dog was injured! Oh no poor dog! Hope you make it back to Yorkshire to discover more places.